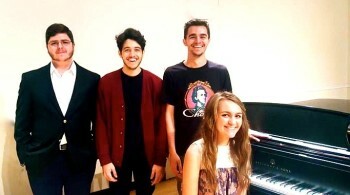 Coastal Carolina University students will perfom a variety and combination of guitar, flute, violin, and piano classical works ranging from Teleman to Ravel. Trio for Flute, Violin and Piano by Telemann. Theme and Variations for Flute and Guitar by Chopin. “La Campanella” by Franz Liszt (piano solo). The “Mother Goose” Suite for one piano, four hand duet.